Sure, traveling with a baby will be a challenge. But traveling already presents a challenge in the form of the unexpected. On the road, you never know what will happen. With a baby — or toddler — you still never know what will happen. That element of unknown and thinking on your feet only serves to make you a better human, parent, and traveler. 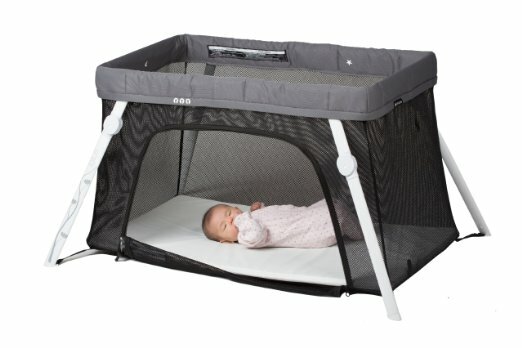 That being said, having the right gear with you can make or break your trip with your baby. 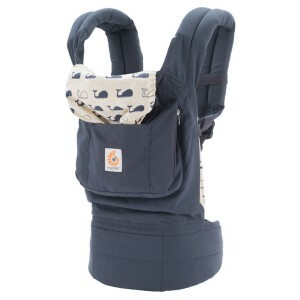 This baby carrier is a favorite among parents! You can carry your baby in three different ergonomic-friendly ways: front-inward, hip and back. And use it for three solid years: it fits newborns to three year olds. Thanks to it being 100% cotton, it’s machine washable and packs up into a small pouch. 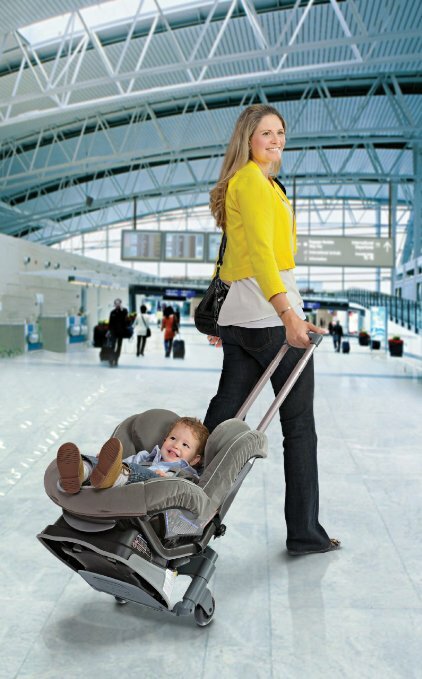 Forget hauling your baby’s car seat through the airport while juggling your squirming kid. Instead, attach your baby’s car seat to this collapsible two-wheeled contraption and wheel them through the airport. The wheels fold flat with a telescopic handle. It fits most major brands of car seats. And I’ve been jealous of every kid I’ve seen relaxing in one while wheeled through the airport. 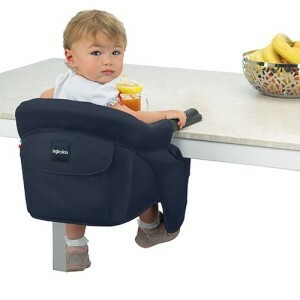 Make any table or chair into a highchair for your baby. My Little Seat Travel Highchair is made from fabric, so you can fold it up into a small packet. Plus, it’s machine-washable. While Inglesina Fast Table Chair folds flat, it does take up more space. But you can attach it directly to the table so Jr. has a ready-made tray-area to eat his food. Both chairs are for kids up to 35 lbs. 15-second set-up, backpack portability, fits as a carry-on (for 0-3 years old). How about that for powerful stats? And the mattress lies flat on the floor. And there’s a nifty “secret” side door so your toddler can easily put himself to sleep in a perfect world. 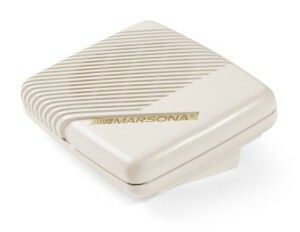 Every savvy parent says a white noise machine is their #1 can’t-leave-home-without item. It drowns out ambient noises, prevents you from constantly hushing everyone like a paranoid librarian, and helps baby sleep. This one comes with detachable plug-ins for every type of outlet. Having this white noise machine has changed how I sleep. 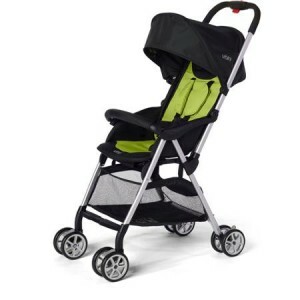 A stroller that weighs less than seven pounds and has tall-people-friendly handles. This stroller claims to be the world’s “lightest full-featured baby stroller” and, based on reviews I’ve read, it lives up to the hype. Plus, you only need one hand to fold it up. You can’t even argue with the price: $80. It’s hard to guess what the road will throw your way, and even harder to anticipate the liquid-based messes that a baby can create. Keep your dry and wet stuff separate with plastic zip lock bags. The uses for these bags are endless! I’ve used these to wrangle my quart liquids, keep my socks organized, and pack snacks for the road. Let them be your lifesaver while traveling with a baby.